Raise a glass today to Gov. Howard Dean! Thanks Howard, we couldnt've done it without you! 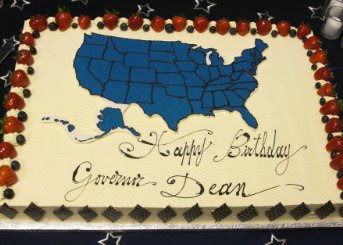 Hope you have a GREAT birthday and when you run for your next office remember- we have your back. Here's his cake, as chronicled in the KOS birthday post.